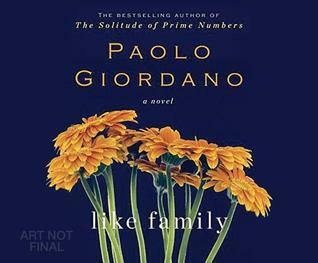 “Like Family” by Paolo Giordano | Lit.Wit.Wine & Dine. Thank you to Penguin Group Viking for providing me with a free ARC of this book. Like Family is a beautifully written, complex but uncomplicated, story of a family and their beloved nanny. We understand from the outset that Mrs. A has died of cancer. The focus of this book is not a long, drawn-out account of her death, but rather the story of how her life has influenced the family she cared for. The characters are realistically drawn, well-developed, and all likable even in their eccentricities . I appreciated the emotional honesty and lack of gratuitous melodrama.